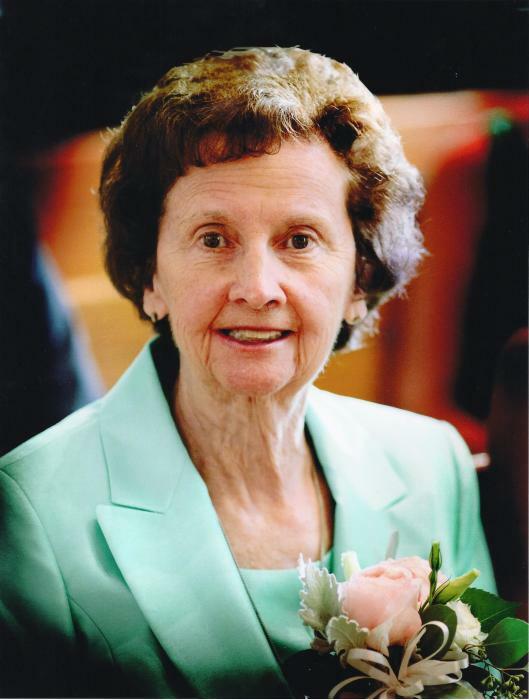 Helen Bennett Downs, 87, of Bardstown, passed away Saturday January 26, 2019 at Loretto Mother House. She was born September 7, 1931 in Louisville, raised in Taylorsville, graduated from Nazareth College in Louisville, retired nurse from Family Medical Center, and a member of St. Joseph Catholic Church. She was preceded in death by her husband, Joe Pat Downs; son, Stephen Hilary Downs; five brothers, Edward, Warren, Jack, Billy, and Pat Bennett; and three sisters, Anna Ray Hurst, Kass Winkler, and Joanne McCloskey. She is survived by her seven children, J. Michael Downs, David (Karen) Downs, Harriett Ballard, Angela (Michael) Ballard, Joseph F. Downs II, Teresa Downs Newton, and Bill (Linda) McCloskey; daughter-in-law, Elaine Downs; eighteen grandchildren; seventeen great-grandchildren; brother, Bobby Bennett; three sisters, Jeanne Theobald, Carol Bennett, and Bettye Tharp; and several nieces and nephews. Her Funeral Mass will be 11:00 am Thursday January 31, 2019 at Basilica of St. Joseph Proto-Cathedral, with burial in Bardstown Cemetery. Rev. Terry Bradshaw will officiate. Visitation will be 4 – 8 pm Wednesday January 30 and 9 – 10:15 am Thursday January 31 at Barlow Funeral Home. A prayer service will be Wednesday evening. Memorial contributions may go to Loretto Mother House or St. Joseph Catholic Church.